Jeff VanderMeer grew up in New York, Florida, and the Fiji Islands (his parents worked for the Peace Corps). He founded The Ministry of Whimsy Press in 1984, began publishing stories in 1985, and attended Clarion in 1992. 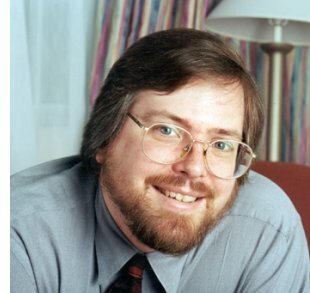 His connected “Ambergris” stories have garnered the most attention, including novella Dradin, in Love (1996), a Sturgeon Memorial Award finalist, and World Fantasy Award-winning novella “The Transformation of Martin Lake” (1998); all are collected in City of Saints and Madmen: The Book of Ambergris (2001, reprinted and expanded in 2002). Upcoming books include far-future SF novel Veniss Underground, non-fiction collection Why Should I Cut Your Throat?, and anthology The Thackery T. Lambshead Pocket Guide to Eccentric & Discredited Diseases (co-edited with Mark Roberts). He lives in Tallahassee, Florida with his wife and daughter. The full interview, with biographical profile, is published in the October 2002 issue of Locus Magazine.